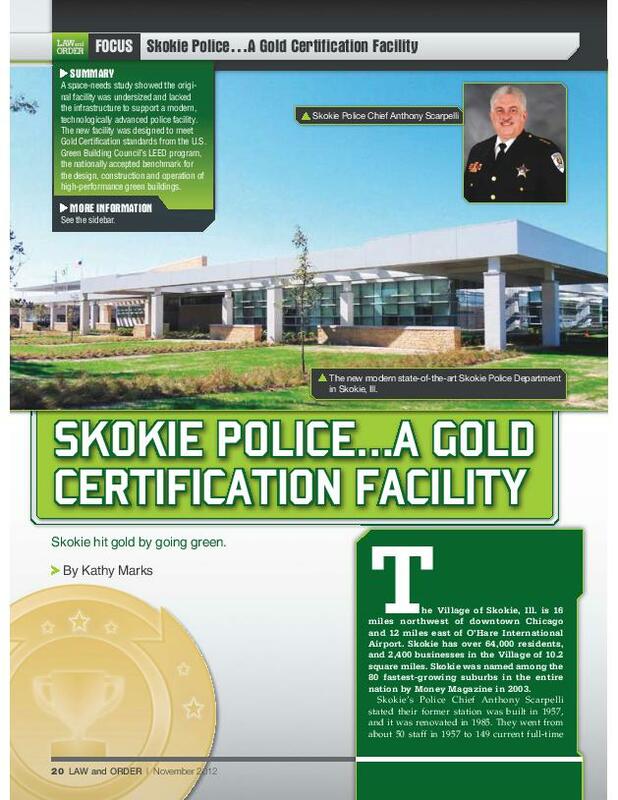 Although the Skokie Police Department has always earned high marks for service, a building analysis showed the department had outgrown the 27,000-square-foot-facility. It also revealed inadequate storage areas and systems to support a modern police force. In 2010, a new police station was designed by SRBL Architects of Deerfield, IL, in effort to support the department’s goals for efficiency as well as promote environmental responsibility. Bradford Systems, the local Spacesaver Representative, designed a solution for the facility’s locker rooms in the form of 142 Spacesaver FreeStyle personal storage lockers. The lockers are specifically engineered with a host of options and interchangeable features that allow users to easily customize them to their needs. 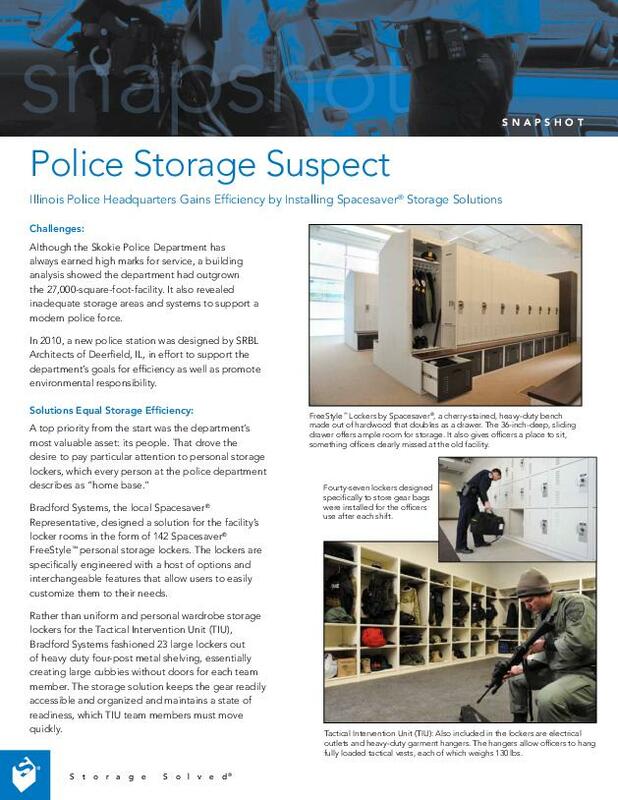 Property and evidence storage was another major priority when designing the new facility. Spacesaver’s pass-through evidence lockers, which are designed to secure the chain of custody during the critical short-term evidence storage period, were built into the wall that separates the evidence drop-off area from the property and evidence room. To Learn more download the full case study or featured article from Law and Order Magazine!